Christine O’Connell, chair of our Off Campus Concerns committee, took the AFTNJ convention experience to another level by inviting some off campus members to participate at the April 20th event. She noted that The highlight of the weekend for me was after dinner when I discovered that several off campus members of the URA had joined us. It was fabulous having an impromptu off campus meeting to discuss issues that pertain to our department only . Now, as we approach the end of fiscal year 2011–2012 and face the summer vacation season, URA members should consider how to use this policy to their best advantage. 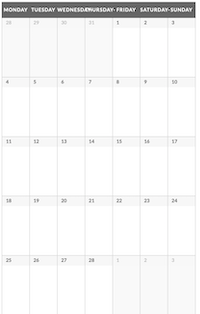 Keep in mind that by July 1, 2013 it will be almost impossible to “roll over” more than one year’s vacation allowance. During the weekend of April 20–22, 2012 the URA-AFT’s Health and Safety Committee received the Annual Workers’ Memorial Award. This was presented at the AFT’s 35th Annual Paraprofessional and School‐Related Personnel (PSRP) Conference held at the Marriott Wardman Park Hotel in Washington, DC. This award is presented to selected locals for doing good work around health and safety issues. Amy Bahruth, Assistant Director of AFT’s Health and Safety Program and Rutgers AFT‐AAUP member, accepted the award on behalf of the URA at the PSRP Workers’ Memorial Day Luncheon. Reporting back from the conference Amy noted that the award was presented to the URA’s Health and Safety committee because it has developed an active and rigorous health and safety agenda for its members on all three Rutgers University campuses, in addition to off campus locations. Just a reminder, since the University chooses to reimburse only at .31/mile and the current IRS mileage reimbursement rate is .55/mile, you can deduct the difference of 24.5 cents/mile off your taxes for all the miles that you’ve driven for 2011. For some of us who put significant mileage on our personal vehicles for University purposes, this can add up to be a large number. I know that I personally drove approximately 1,800 miles last year and am sure that there are others that have driven more than that. Especially if you are in the southern counties of the state, where distances seem to be farther apart, please keep track of ALL the miles you drive and deduct the difference! You can use copies of your TABERs to document your miles. 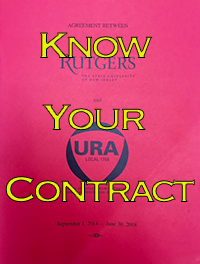 It’s YOUR money; don’t let the IRS or Rutgers keep any more of it than they already do!! !